Visitors to the site can see a reconstruction of the early log fort and the stockade, as well as original buildings from the 1840–70s. Exhibits detailing the history of the fort are located in the Commissary Visitor Center on Garrison Hill. The site also hosts a number of special living history events and programs throughout the year. Fort Gibson is a National Historic Landmark. The site features a log stockade that was reconstructed under the Works Progress Administration 1937. The structure underwent extensive restoration beginning in 2013, and reopened to the public in 2016. Funding for this project was provided by grants from the Oklahoma Department of Transportation’s TEA-21 program and Save America’s Treasures from the National Park Service. The grants, with matching state funds, made it possible to complete what was ultimately $1.5 million in restoration work. The historic hospital at Fort Gibson is currently undergoing rehabilitation. Learn more. Fort Gibson served a pivotal role in the political, social, and economic upheaval that marked the westward expansion of the United States. Built at the critical crossroads of the Three Forks where the Arkansas, Verdigris, and Grand Rivers converge south of the Ozark Plateau, Fort Gibson was key to river navigation. 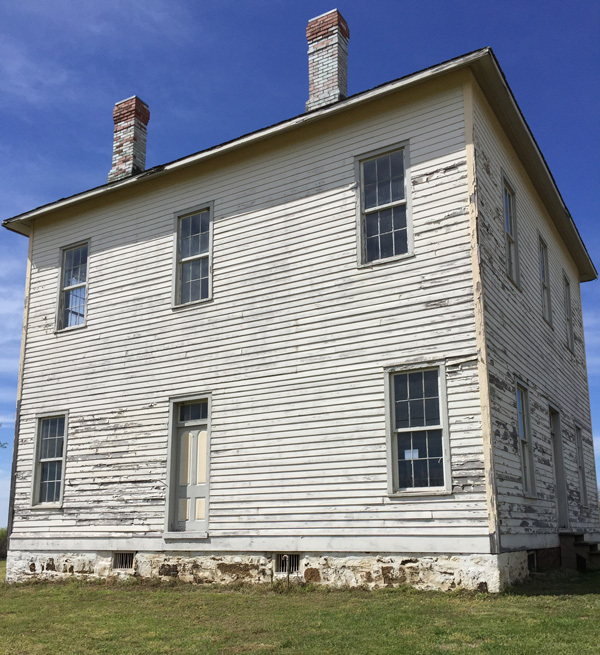 It also served as an outpost on the Texas Road connecting settled Missouri with the new country of Mexico after independence from Spain in 1820. Fort Gibson was established in 1824 to keep the peace between the Osages and Cherokees. It figured prominently in the Indian removals and was home to many of our nation’s leaders during the 1840s and 1850s. Fort Gibson served as a starting point for several military expeditions that explored the West. It was occupied through most of the Indian removal period, but then abandoned in 1857. The post was reactivated during the Civil War. It was renamed Fort Blunt and served as the Union headquarters in Indian Territory. The army stayed through the Reconstruction and Indian Wars periods, combating the problem of outlaws and squatters. Abandoned in 1890, the fort was later the headquarters of the Dawes Commission for their work enrolling members of the Five Tribes. At Fort Gibson, the Commission members focused their attention on Cherokee Freedmen. Visit The Encyclopedia of Oklahoma History and Culture to find out more about Fort Gibson. 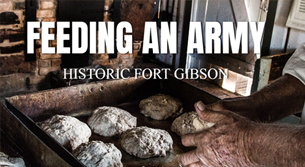 Issue seven of Crossroads takes a look at the Civil War–era oven and the history of Fort Gibson. Operating support is generously provided by the Cherokee Nation.